That's a wrap! Silver-tone, crystal-studded jackets wrap snuggly around faux diamond solitaire earrings for a radiant bit of glitz and glamour. 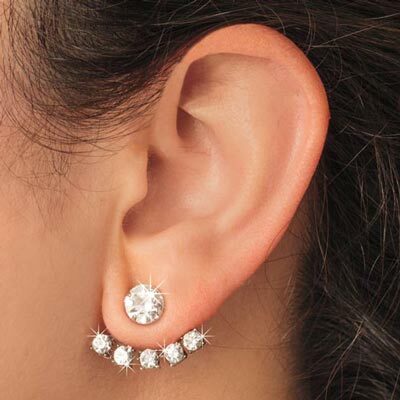 These Sparkling Earrings with Jackets are an all-around pair, they go from day to night with ease. Post backs. ¼" studs with 1" wide jackets.